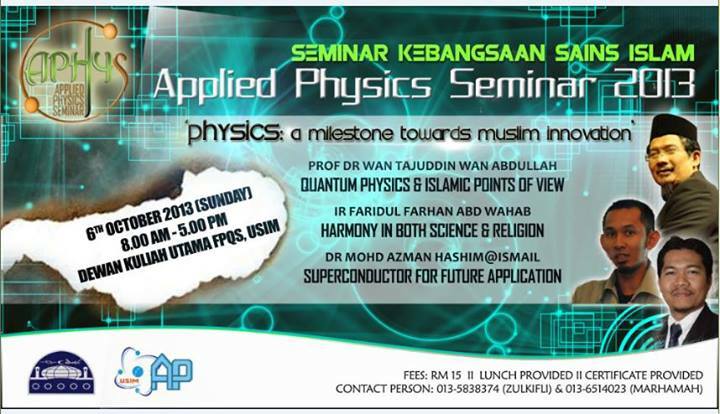 insya-Allah a one-day seminar will be held on the 6th October 2013 in USIM. 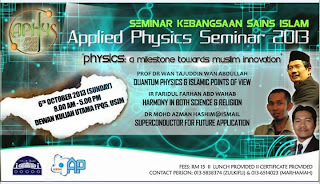 the seminar will be handled by the fourth year students of Applied Physics; so-called superseniors, and insya-Allah will be helped by their juniors (which are us, the first year to third year students). So, you who are passionate in this field, lets come and join us! let us together gain more knowledge by participating this such seminar. What are you waiting for? go get your hand phone and send your details now! to the contact persons in the poster above.